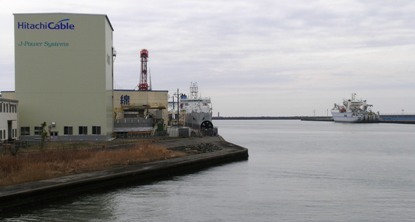 LEI provides products and services for one of Tyco's vessels. LEI provides services during their preparation for deployment of a U.S. Navy system. LEI provides products and services for one of Tyco's vessels that will participate in the deployment of a trans-Pacific cable. LEI provides services during 2 U.S. Navy projects. The projects included installation of an underwater array and several ocean cables. LEI provides products and services for one of Tyco's vessels in Japan, in preparation for PPC-1 cable project between Australia and Guam. LEI provided computer systems and software commissioning services for the CS Tyco Decisive cable vessel in Greece. LEI provided computer systems and software commissioning services for the CS Tyco Durable cable vessel in the Philippines. The vessel will take part of the deployment of the 9000 km long Telstra Australia-Hawaii fiber-optic cable. Telstra is Australia's leading telecommunications and information services company. 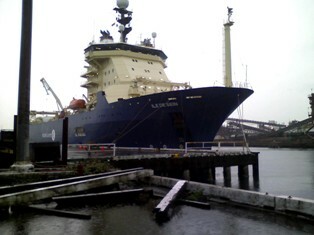 LEI provided services during installation of the main-ring communication cable for NEPTUNE Canada ("North-East Pacific Time-series Undersea Networked Experiments.") The final portion of the main ring was successfully installed early November in waters offshore Vancouver Island, BC, Canada. LEI provided services for the SSRNM Array Replacement project. Copyright © 2012 Leraand Engineering Inc. (LEI) All Rights Reserved.